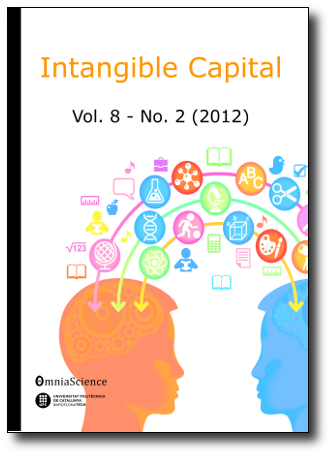 Purpose: This paper analyzes the influence of relational capital in business internationalization, focusing on university spin-offs. Design/methodology/approach: A literature review based on the theories of relational capital and networking from an international perspective. A theoretic model is then developed. Findings and originality/value: The analyses in this paper show that relational capital influences the internationalization of university spin-offs in a positive manner. In addition, the firm’s performance in its international activities depends on its capabilities to create and maintain relationships with the relational capital agents. Research limitations/implications: This is a theoretical paper; because of this, it would be advisable to complete it using a hybrid methodology, i.e., qualitative and quantitative analyses. Moreover, it would be useful to consider other sectors besides the technology sector. Practical implications: Following the literature review, which is limited to studies that jointly address these issues, a strategic analysis tool is developed that aims to improve the management of the relational capital to create value. This is carried out as part of the decision-making process related to the effect and links among the elements of the aforementioned capital, taking into account an international perspective. Social implications: In the current globalized economy, intangible management is more important than it used to be, in order to obtain competitive advantages in the business world. Furthermore, internationalization becomes an escape route in the face of a difficult economic situation, in which small companies must overcome significant problems in the local market. Originality/value: Nowadays, business internationalization is very important, and in this context, relational capital management plays a critical role in achieving competitive advantages. In spite of this, the literature review is restricted to studies that jointly address both issues (relational capital and internationalization). This makes for an interesting challenge, which is what this paper attempts to examine, through application in one of the most influential sectors in economic development.